Liberia has become in an obligatory stop for many tourists who are on the road for a visit to the beautiful beaches of Guanacaste. Others visit the place to take a flight to different destinies inside or outside our country using the Daniel Oduber International Airport. 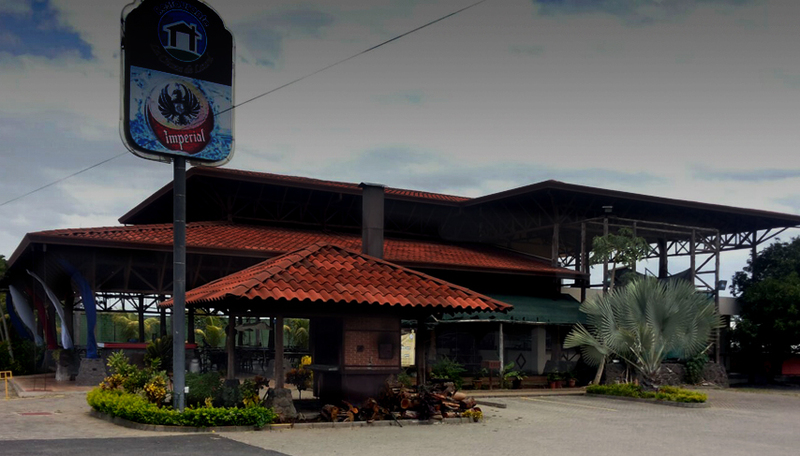 Just seven blocks away the airport is located La Choza de Laurel, a restaurant with a familiar environment to give a warm welcome or a nice goodbye to the visitors of the zone. Its installations are large and built with materials like tiles, wood and bricks to remember the constructions that Costa Ricans built long time ago. The ceiling is high and the place is very open to allow the circulation of fresh air. For being located in a place with a hot and dry weather, one of the customers´ favorites is the “piña colada”. Our clients feel very satisfied about its delicious flavor and its funny presentation. This restaurant can receive 220 persons at the same time and it has a parking lot for 50 cars or buses.